Made from little more than a few 2x4s and a bit elbow grease, this multifunctional outdoor chaise is a stunning style statement on any porch or patio. Inspired by a DIY conference, Amy of Her Tool Belt decided to try her hand at custom outdoor seating. 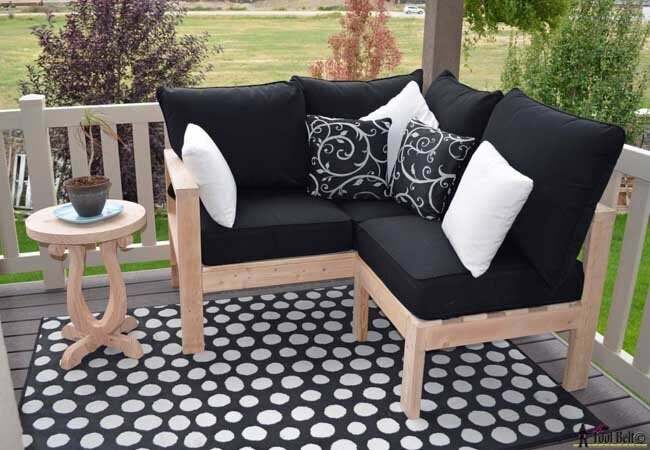 After shopping smart for budget cushions and building a bench using altered plans from Ana White, Amy decided to up the ante and fashion a stylish, customizable chaise from 2x4s. 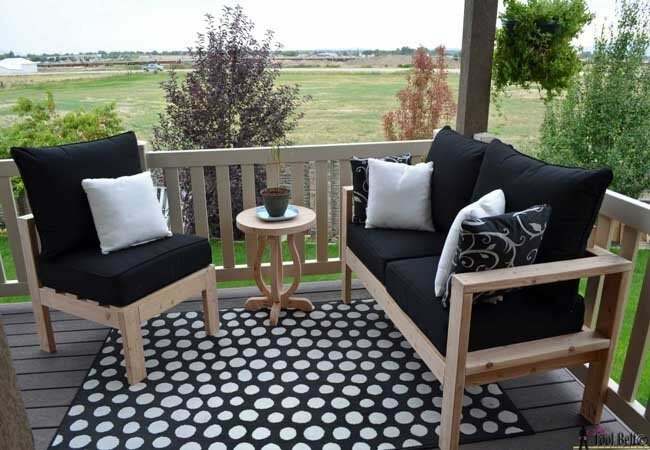 Keep reading to see how her project became the perfect complement to her outdoor bench and small-space deck. 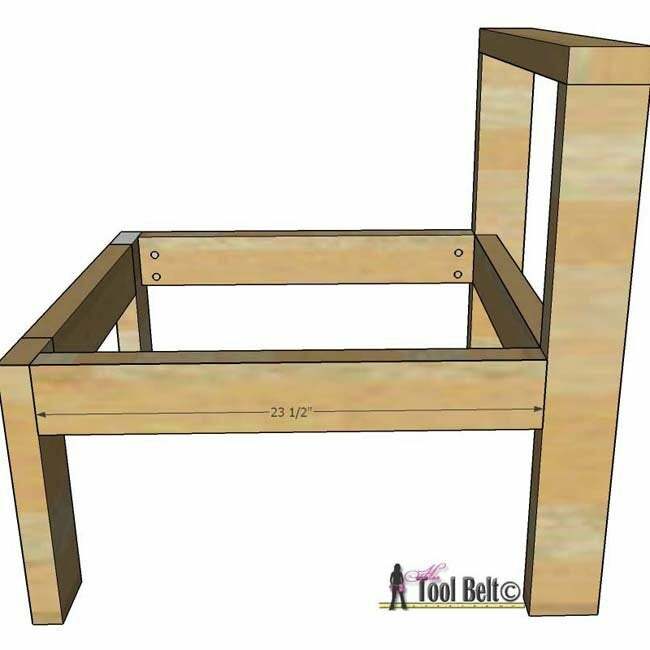 Join the two 12 1/2″ legs with the 18″ piece using pocket holes, 2 1/2″ self-tapping screws, and wood glue. Next, assemble the back legs. With glue and 2 1/2″ pocket screws, join the 22″ piece to the two 25 1/2″ pieces at 12 1/2″ from the bottom. 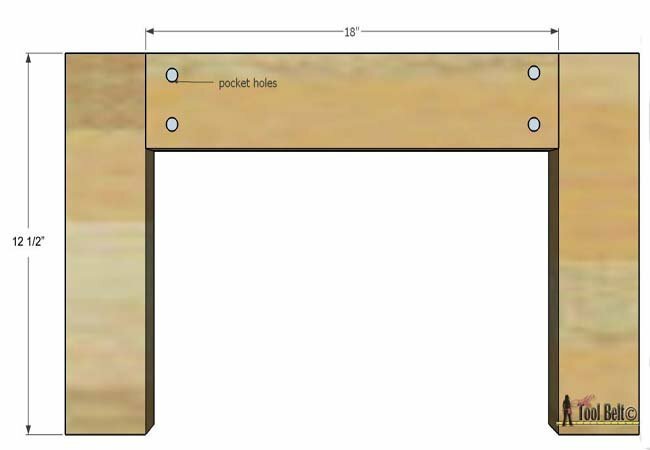 Attach a 25″ piece to the top of the 25 1/2″ legs. 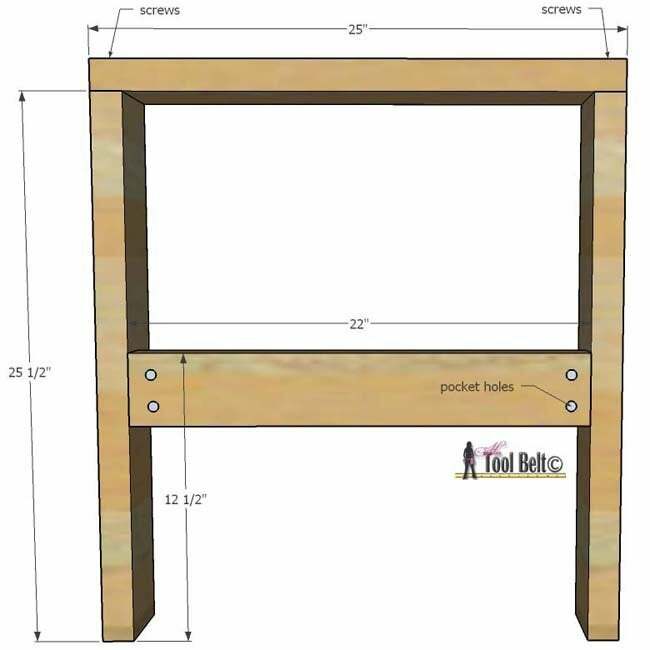 Attach the two 23 1/2″ pieces between the front and back legs. Secure with glue and 2 1/2″ pocket screws. Attach the 1 x 4’s to the top of the seat. The picture shows five 1 x 4’s but four are good enough. I used wood glue and 2″ brad nails. 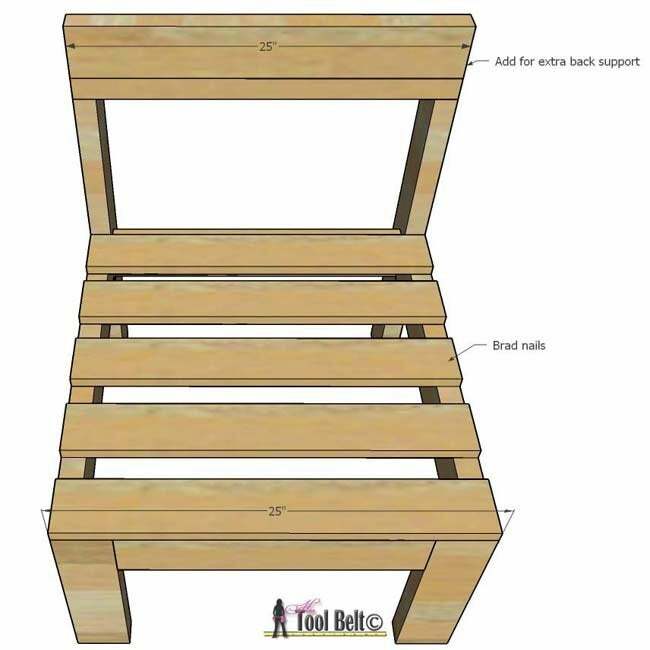 If you need extra back support add a 25″ board to the top with 2 1/2″ screws. After all of the glue dries, lightly sand and seal with Thompson’s WaterSeal. If you want to stain your project, Thompson’s also has all-in-one waterproofing stain in an either an aerosol can or by the gallon. Thanks, Amy! To explore more DIY building projects, visit Her Tool Belt.